I Support Human Rights. Made for Fanpop HRAM. 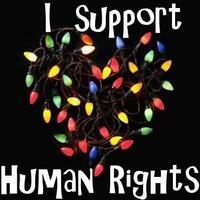 Images in the Human Rights club tagged: human rights human rights awareness month december hram fanpop heart lights christmas icon.